The history behind Valentine’s Day actually is based upon multiple individuals across history who share the same name. 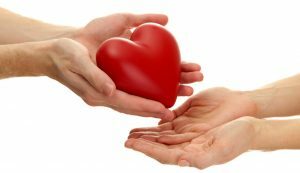 Fortunately for us, each of these Valentine’s shared altruistic characteristics and acts of service that have been woven together with cultural traditions to create our modern commercial celebration on February 14 and that can be used to help us unlock our own acts of service and philanthropy. Early Christian church history records the martyrdom of Saint Valentine of Rome, Saint Valentine of Terni, and a relatively unknown Saint Valentine who was martyred in Africa. Saint Valentine of Rome is attributed with healing a jailer’s daughter, and, prior to his execution, sending her a letter signed “Your Valentine.” This act of kindness, whether fact or legend, launched the love letter and valentine card tradition we practice in our country today. In the town of Monselice in the Province of Padua, Italy there is a unique tradition held on Valentine’s Day each year. In a small chapel at St. George’s Oratory, there is a special ceremony in which children receive a small charm, a Valentine’s Key, believed to ward off epilepsy. According to the Epilepsy Foundation, Epilepsy is the fourth most common neurologic disorder and can affect people of all ages. Sometimes Epilepsy, which is another term for “seizure disorders” can be traced to a brain injury or a family history, but often the cause is unknown. Perhaps you know someone who suffers from seizures and has experienced the life-altering effects of epilepsy which can prevent proper growth and development, remove independence, or curtail activities such as driving or working. This Valentine’s Day may be a reminder for you to reach out to them and find a way to help. It may be as simple as driving a friend to an appointment or running an errand for a weary caregiver. Your expression could also be to make a contribution to an organization doing research to find a cure for the disease. CURE, which stands for Citizens United for Research in Epilepsy, can direct your gift to a wide variety of research efforts targeting this disease. Another Valentine’s Day tradition from Europe is giving the gift of a Saint Valentine’s key to someone you love, which is said to unlock the heart of the giver. With this in mind, perhaps you should take the opportunity this year to consider who has your heart. It is obvious to think about a special person who has the keys to your heart, but what about a special charity? Which organizations do you support that have the key to your heart? What is it about their work that you admire, appreciate or absolutely love? How have you expressed your appreciation to that organization this year or in the past? Do you give of your time, talent, or treasure…or perhaps all three, to support their work? February is a good time to take your love for your favorite charities to the next level. Perhaps you will choose to learn about their goals or special projects for 2018. Are there particular challenges they are facing that you can help them overcome? If a charity is important to you, have you made a provision for a gift to them in your estate plan? If you think that is a good idea, but don’t know what to do next, our staff at East Texas Communities Foundation can help you think through some of your options. Perhaps you would like to leave an outright gift to them upon your death, or set up an endowment that will be invested to make annual distributions to them…forever. We enjoy working with donors and their professional advisors to craft a custom gift that will help them reach their personal and charitable goals. Don’t forget the chocolates and flowers, but let me encourage you to take the opportunity this Valentine’s Day to also let the keys of Saint Valentine unlock your next philanthropic opportunity to give well.